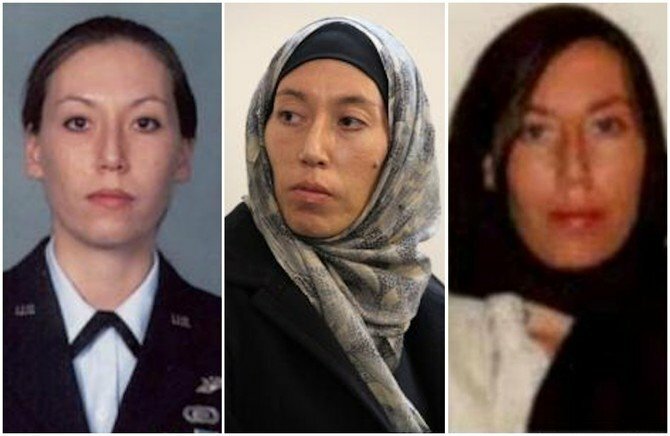 She was recruited to attend a 2012 Iranian conference aimed at "promoting anti-U.S. propaganda" and defected the next year. After her separation from the Air Force, Witt was employed by the Department of Defense as a contractor in 2010, where she was issued high-level security clearances and was deployed overseas to conduct classified counterintelligence missions, according to a Department of Justice indictment unsealed on February 13. From December 2014 to May 2015, at least four Iranian nationals created fake Facebook accounts to target Witt's former co-workers, the USA alleges. On arrival in Iran, the Tehran government is said to have provided her with housing and computer equipment for her to help track down United States intelligence officers. Witt is also alleged to have disclosed the code name and classified mission of a U.S. Department of Defense Special Access Program. US officials also imposed sanctions on an Iran firm, Net Peygard Samavat Company, that it said conducted the hacking operation, and Iranian events company, New Horizon Organization, that it said works to recruit foreign attendees. Assistant Attorney General John Demers, the head of the Justice Department's national security division, says, "It is a sad day for America when one of its citizens betrays our country". She wrote Individual A that she wanted to put her Air Force training "to good use instead of evil". "Thanks for giving me the opportunity". A former US counterintelligence officer was indicted Wednesday for spying for the Iranian government, federal prosecutors said. "I am starting to get frustrated at the level of Iranian suspicion".